The Energy Bow is a totally unique guitar accessory. I have to compliment your customer advisor: I had some issues with the payment, and he was super patient and answered my emails pretty quick. Your e-commerce was super helpful as well as your team. Your excellent customer service is the last bit that convinced me to put Musix as my first stop for shopping. - Thank you! You guys are truly fast! Have a great week-end! 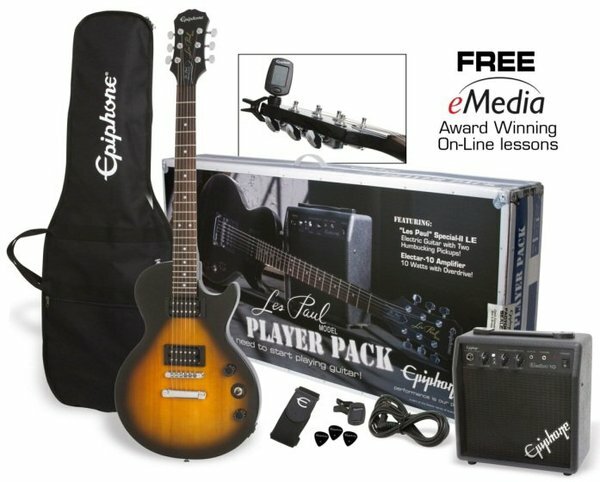 Set containing Epiphone Les Paul Special II, 10W amp , gigbag, strap, cord, picks, tuner. Please log in to rate this product review. We have all of the order received already !! That was fantastic service - thank you so much! The boys (and myself) are very happy with it! Page rendered in 0.138 seconds.